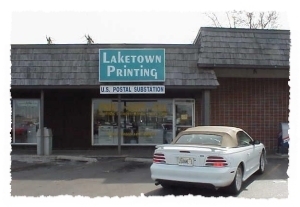 As many of you are aware, Laketown Printing closed its doors May 27, 2011. Joe and Lana lost their son Tony suddenly and so they decided, along with Tony's big sister Gayle, that it was time to move on. They sold their assets to Global Printing and Graphics but unfortunately, Jim Burke, who owned Global Printing and Graphics, declared bankruptcy and closed down. When he originally moved all the printing equipment after the deal was signed, he also moved all of the original artwork which we had for our customers and I have been unable to find its location or who has possession of the artwork. Joe, Lana and Gayle will miss all our great customers we had over the years, we truly enjoyed serving each and every one of them. But as all things must go, it is time for Joe and Lana to take on a new task ... retirement! 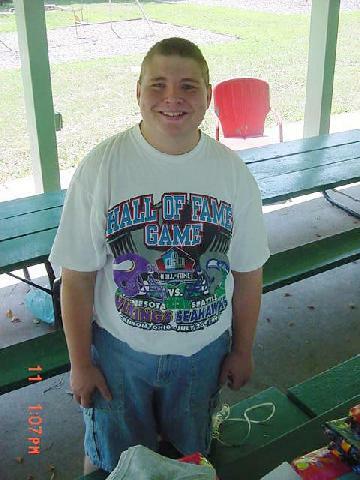 And to add to the fun of that, they now have a great grandson, Jaiden. Of course, that makes Gayle a "grandma" too (she prefers to be called "GG") but I can assure you that she is loving her new role! As in the past many years, Joe is still selling real estate and enjoys that; he is with the Century 21 Real Estate Associates office so if you have any need of a realtor, give him a call at 217-652-1816 and he'd be more than happy to meet with you and help you with your realty questions or concerns! A million thanks to each and everyone ... it's been an extemely satisfying and fun thirteen years!